Acclaro is the sum of our parts, a growing team of multi-disciplinary experts working together to inspire, embed and shape sustainability management within progressive organisations. Our team is built on decades of experience and offers a breadth of skills and knowledge. From risk, data and auditing to systems, compliance and governance, strategy, training and communications, our expertise fits around your organisation’s culture and needs. Working with us gives brands and businesses the structure, tools and confidence to change, to edge ahead, and to set new standards. Sunil has over 15 years experience in the sustainability field of the environment. He has successfully developed and led teams at Johnson Controls, Jacobs Engineering and DPP providing services at the Planning, Design and FM stages of the building. Key projects has included: Blackfriars Station Sustainability Plan; London Fire Brigade micro-renewables roll-out; Environment Agency Carbon Calculator; Tesco design Guide; What is the Future of the CRC. Sunil was a member of the Sustainable Construction Task Force and also of the Sustainable Development Commission. He remains an advisor to Government on carbon and wider sustainability measures. From 2002 Sunil was Chair of BIFM’s Sustainable SIG and has remained a member since 2008, helping to develop best practice and roll out to the wider FM sector. He has also authored two books on the subject and is a regular speaker at events. In his spare time Sunil spends time with his young family, which currently involves putting together a large number of Lego Star Wars kits, cycling and playing football. Chris joined Acclaro Advisory in January 2018 with 7 years of experience in the environmental services sector. His chief responsibility is to lead the strategic direction of the SFMI and build on the success of the project and expand the impact of the project. Chris’ environmental background was based on becoming a specialist in environmental corporate reporting and GHG measurement with CDP and other voluntary reporting mechanisms. He managed client relationships with major businesses across the world from industries including Information technology, oil and gas, and metals and mining. He expanded his experience in corporate reporting with experience in UK and EU regulatory reporting in carbon and energy such as GHG mandatory reporting. He also spent two years working on corporate water risk reporting through CDP and has much experience with analysing environmental data for corporate benchmarking. Chris has also worked on waste audits and energy audits while working for the London Borough of Camden. He led a business facing initiative called the Camden Climate Change Alliance which provided consultancy services for local business facilities. In this time, he also completed the 5-day lead auditor training course for ISO50001. Erica’s work involves advising on energy performance of buildings, building systems and activities with the aim to encourage energy efficient behaviour, reduce energy costs and carbon footprint. She leads several energy efficiency and sustainability projects for local and international clients. This includes meeting legal compliance and reporting requirements in the UK and Europe. Before joining Acclaro Advisory, Erica worked as a Civil/Structural & Precast Engineer for just over 7 years on several government and private sector development projects in Barbados. She is a co-writer of the Barbados Renewable Energy Association 5-year Strategic Plan (2014) and an avid community service volunteer; winning awards for her service and team projects. When she isn’t scrutinising data or playing Santa’s year-round helper, she enjoys developing recipes and spending a few days a year travelling. David specialises in management systems, auditing, and sustainability strategy. He provides technical, project management, and development support to the team, and is heavily involved in IEMA South East Steering Group and Reading Sustainability Centre Professional Networks. When not at work, he enjoys weight training, travel, and strategy board gaming. Cara came to Acclaro Advisory after completion of a Master’s by Research degree in carbon accounting at Lancaster University with 2 years’ experience in environmental consultancy, which focussed on carbon emissions monitoring and reduction. She has expertise in carbon assessment and management and placing these and other environmental issues in the wider context of politics, business and society. Cara is engaged in a variety of sustainability projects in the UK and internationally. She provides support for corporate environmental reporting, including the Carbon Reduction Commitment and Global Reporting Initiative in the UK. Cara also supports the Sustainable FM Index by conducting detailed research, analysis and audits. In her spare time, Cara volunteers at her local animal shelter and enjoys hiking and camping in the countryside. Calum’s work includes supporting data system reviews, energy reporting, and sustainability communications. Before joining Acclaro he gained a master’s degree in Sustainable Urban Management at Heriot-Watt University as well as a bachelor’s degree in physics. In a previous role, he managed resources for a major home energy efficiency scheme, and he has extensive customer service experience. He is particularly interested in sustainable transport and the energy performance of buildings. Outside of the office, he is an enthusiastic cyclist and also likes to explore the countryside on foot. He has lived overseas and has an interest in foreign languages. Deb joined Acclaro in February 2019 and has over 12 years of Office Administration experience, gained in both Manufacturing and the Wines and Spirits Trades. 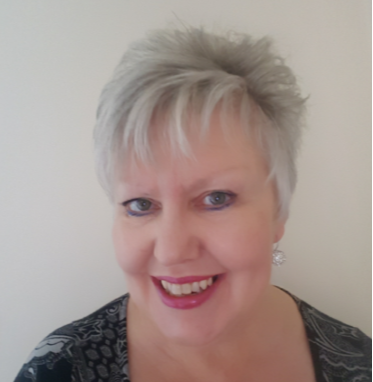 Deb is also a CIPD qualified trainer, using Brain Friendly learning to deliver inciteful and engaging Training and Learning. Deb is responsible for Marketing Strategy and Digital Marketing at Acclaro. In her spare time, she has a keen interest in creative graphic design, a skill she has taught herself over the last 8 years. She enjoys walking and getting out and exploring the local area. Deb has two young Grandchildren, who she loves spending time with; they keep her young and ensures she maintains a vibrant outlook on life.